In a world of consumerism, businesses are always ensuring that their customers are satisfied with the products and services that they provide. They conduct surveys, provide excellent customer service, and always make sure that their products and services are innovative and top of the line. But what happens if they have customers who want to return their product because they are dissatisfied with its quality or they received a defective one? That is when Return Authorization Forms come in handy. 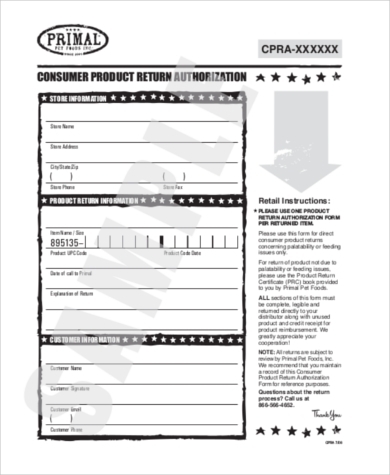 There are various types of Return Authorization Forms depending on what product you want to return. Usually, services are non-refundable, but certain companies may provide a refund depending on their terms and conditions. 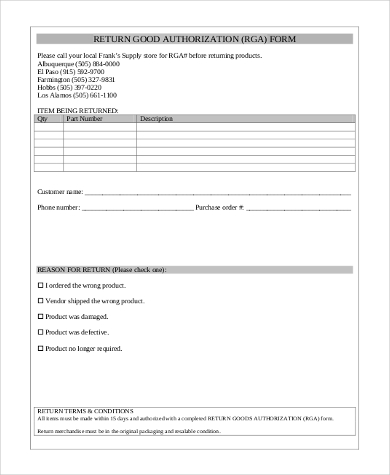 Refund: This is returning the item for a full or partial refund depending on the terms and conditions set by the company. 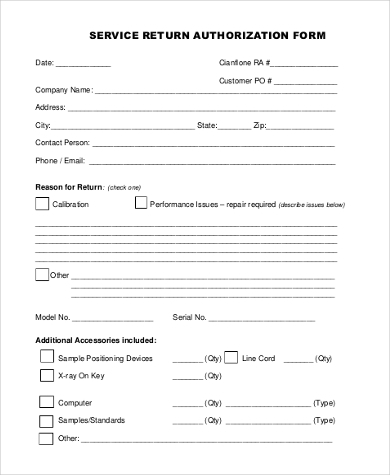 Replacement: When a customer receives a defective item, usually one that is beyond repair, but still wants the same item, then this is the best option. Repair: This is when there is just a minor damage to the item that can be fixed. 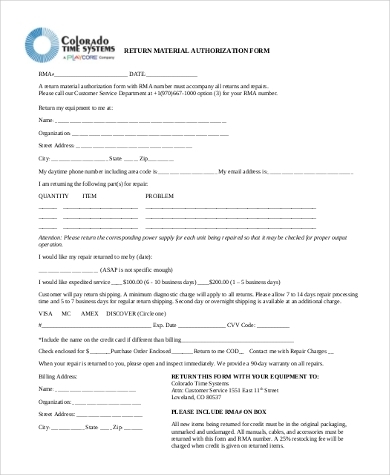 Items under warranty are entitled to a free repair, which would also be subject to the terms and conditions set by the company. 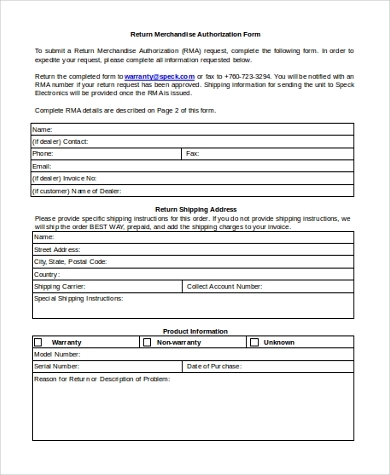 Customer’s Billing Information: This is necessary for the company to be able to track who purchased the product or service. 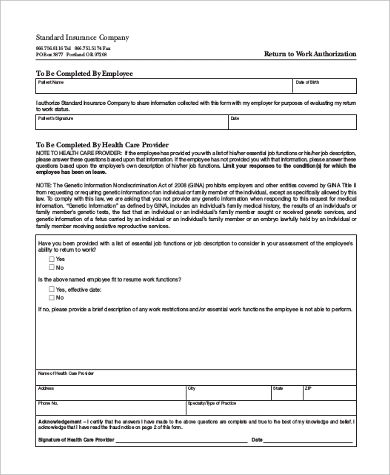 If the return would incur charges, you may also need to fill out Credit Card Authorization Forms. 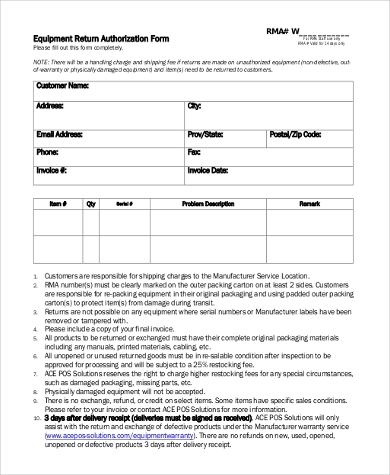 Customer’s Shipping Address: This is necessary for repairs and replacements because the company will need to ship the new or refurbished item to the customer. Product or Service Information: Examples of this are the brand, model number, the quantity of products ordered, serial number, and service contract number for services. Problem Description: This section is only for product repairs. 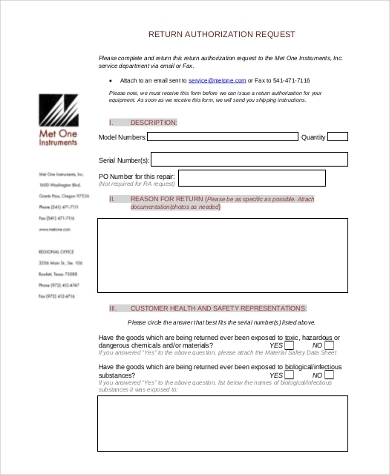 Once you have submitted a Return Authorization Form, the company will then provide you with a return shipping label that you can use to ship the item back to them. This is used for convenience and customer satisfaction. Returns can be costly for vendors and inconvenient for customers, but it is a tedious task that businesses and consumers alike may deal with from time to time. Every consumer wants to get his money’s worth and wants to have his expectations exceeded. That is why returns are very crucial in every vendor’s process and they would want to make this process as hassle-free as possible. 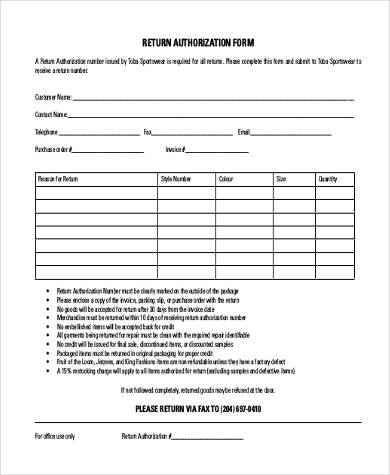 You may also check out our Medical Authorization Forms for your medical needs.